Still enjoying the last day of the weekend. It's almost time to sleep now, but I just want to share another piece of my weekend with you all. I'm loving the blush theme today. I feel kinda romantic and sophisticated. Keeping it natural for the day. Still using the Tarte Amazonian Clay airbrush foundation which I just featured on my last post. 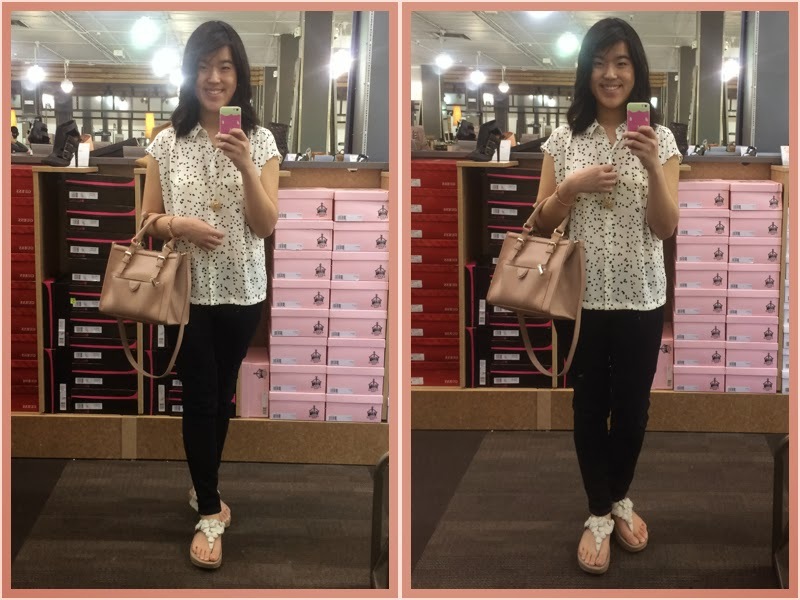 Trying on BCBG leopard pumps at DSW. I love the prints, but I wasn't sure I can manage to walk on those heels! It's a bit too hight for my liking. I spent the rest of the afternoon eating 'Pempek' at my friend's place. We cooked and had a little tea party. I'll try to post the recipe later in the week. I'm kinda addicted with tea now. I guess I love the idea of drinking tea in the afternoon, just like having brunch on a weekend. It feels sophisticated, I don't know why. Anyway. Uw I love that pumps so much!